South Carolina DUI Penalties | Consequences of South Carolina DUI Overview | DUI Penalties Including Jail Time, Fines, License Suspension, Etc. Jail Time. An individual who is convicted of a first misdemeanor offense will be facing a 48 hours jail sentence or performing 48 hours of public service. Fines. First Offense DUI fines range from $400 (not including court costs, costs for the South Carolina Alcohol and Drug Safety Action Program, South Carolina Driver's License reinstatement fees, or other associated legal fees). License Suspension. 6 months upon conviction for a first offense DUI in . FIrst Offense DUI in where Blood Alcohol Concentration between is .10% and .16%. The individual is fined $500 or required to serve a minimum of 72 hours in prison. First Offense DUI in where Blood Alcohol Concentration is between .16% or higher. The person must be punished by a fine of one thousand dollars or imprisonment for not less than thirty days nor more than ninety days. Jail. Imprisonment for not less than five days nor more than one year. Fines. Fine of not less than two thousand one hundred dollars nor more than five thousand one hundred dollars.However, the fine imposed by this item must not be suspended in an amount less than one thousand one hundred dollars. License Suspension. 1 year upon a conviction for a DUI second offense. Second Offense DUI with a BAC of .10% to .16%. The person must be punished by a fine of not less than two thousand five hundred dollars nor more than five thousand five hundred dollars and imprisonment for not less than thirty days nor more than two years. Second Offense DUI with a BAC of .16% or higher. The person must be punished by a fine of not less than three thousand five hundred dollars nor more than six thousand five hundred dollars and imprisonment for not less than ninety days nor more than three years. Jail. Imprisonment for not less than sixty days nor more than three years. Fines. Not less than three thousand eight hundred dollars nor more than six thousand three hundred dollars, and imprisonment for not less than sixty days nor more than three years. License Suspension. 2 years upon the conviction of a third misdemeanor DUI offense. Second Offense DUI with a BAC of .10% to .16%. The person must be punished by a fine of not less than five thousand dollars nor more than seven thousand five hundred dollars and imprisonment for not less than ninety days nor more than four years. Second Offense DUI with a BAC of .16% or higher. the person must be punished by a fine of not less than seven thousand five hundred dollars nor more than ten thousand dollars and imprisonment for not less than six months nor more than five years. Jail. Imprisonment for not less than one year nor more than five years. License Suspension. Permanently, a conviction for a Fourth or subsequent offense will result in the permanent revocation of a South Carolina driver's license. Second Offense DUI with a BAC of .10% to .16%. The person must be punished by imprisonment for not less than two years nor more than six years. Second Offense DUI with a BAC of .16% or higher. Imprisonment for not less than three years nor more than seven years. License Suspension. 6 months upon a conviction for a first DUAC offense. First Offense DUAC with a BAC of .10% to .16%. The person must be punished by a fine of not less than two thousand five hundred dollars nor more than five thousand five hundred dollars and imprisonment for not less than thirty days nor more than two years. First Offense DUI with a BAC of .16% or higher. The person must be punished by a fine of not less than three thousand five hundred dollars nor more than six thousand five hundred dollars and imprisonment for not less than ninety days nor more than three years. Fines. Not less than two thousand one hundred dollars nor more than five thousand one hundred dollars. However, the fine imposed by this item must not be suspended in an amount less than one thousand one hundred dollars. License Suspension. 1 year for conviction of a second DUAC offense in South Carolina. Second Offense DUAC with a BAC of .10% to .16%. The person must be punished by a fine of not less than two thousand five hundred dollars nor more than five thousand five hundred dollars and imprisonment for not less than thirty days nor more than two years. Fines.Not less than three thousand eight hundred dollars nor more than six thousand three hundred dollars. License Suspension. 2 years upon conviction of a third DUAC offense. Third Offense DUAC with a BAC of .10% to .16%. The person must be punished by a fine of not less than five thousand dollars nor more than seven thousand five hundred dollars and imprisonment for not less than ninety days nor more than four years. Third Offense DUAC with a BAC of .16% or higher. The person must be punished by a fine of not less than seven thousand five hundred dollars nor more than ten thousand dollars and imprisonment for not less than six months nor more than five years. Fines. Not less than three thousand eight hundred dollars nor more than six thousand three hundred dollars. License Suspension. Permanent revocation of a South Carolina's driver's license upon conviction of a 4th or subsequent conviction. Fourth Offense DUAC with a BAC of .10% to .16%. The person must be punished by a fine of not less than five thousand dollars nor more than seven thousand five hundred dollars and imprisonment for not less than ninety days nor more than four years. Fourth Offense DUAC with a BAC of .16% or higher. The person must be punished by a fine of not less than seven thousand five hundred dollars nor more than ten thousand dollars and imprisonment for not less than six months nor more than five years. 56-5-2910. Reckless homicide; penalties; revocation of driver's license; reinstatement of license; conditions; consequences for subsequent violations. 56-5-2920. Reckless driving; penalties; suspension of driver's license for second or subsequent offense. 56-5-2930. Operating motor vehicle while under influence of alcohol or drugs; penalties; enrollment in Alcohol and Drug Safety Action Program; prosecution. 56-5-2933. Driving with an unlawful alcohol concentration; penalties; enrollment in Alcohol and Drug Safety Action Program; prosecution. 56-5-2941. Penalties; installation of ignition interlock device. 56-5-2945. Offense of felony driving under the influence; penalties; ''great bodily injury'' defined. 56-5-2946. Submission to testing for alcohol or drugs. 56-5-2947. Child endangerment; definition; penalties; jurisdiction; evidence for taking child into protective custody. 56-5-2950. Implied consent to testing for alcohol or drugs; procedures; inference of DUI. 56-5-2951. Suspension of license for refusal to submit to testing or for certain level of alcohol concentration; temporary alcohol license; administrative hearing; special restricted driver's license; administrative hearings; restricted driver's license; penalties. 56-5-2990. Suspension of convicted person's driver's license; period of suspension. 56-5-2995. Additional assessment on persons convicted of driving under influence of intoxicating liquors or drugs. 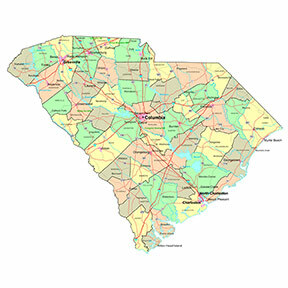 The skilled South Carolina DUI lawyers on this site can help you with all aspects of your drunk driving arrest including: further information on DUI penalties, fines, and consequences, administrative driver's license suspension or revocation, Under 21 DUI Drunk Driving and Zero Tolerance Laws, SR-22 insurance, DUI School, Mothers Against Drunk Driving (MADD) Victim Impact Panels, how to beat a DUI, Ignition Interlock Devices, SCRAM Continuous Alcohol Monitoring Device, DUI Expungement, DUI Diversion, Community Service, and all other issues surrounding your South Carolina Drunk Driving DUI Arrest. South Carolina DUI Attorneys can help fight for your Rights following a DUI arrest in Charleston, Columbia, Greenville, Mount Pleasant, North Charleston, Rock Hill, or anywhere else in South Carolina.